Spectacle blinds, spades and spacers are manufactured in accordance with our clients’ requirements in any required material with any required certification. 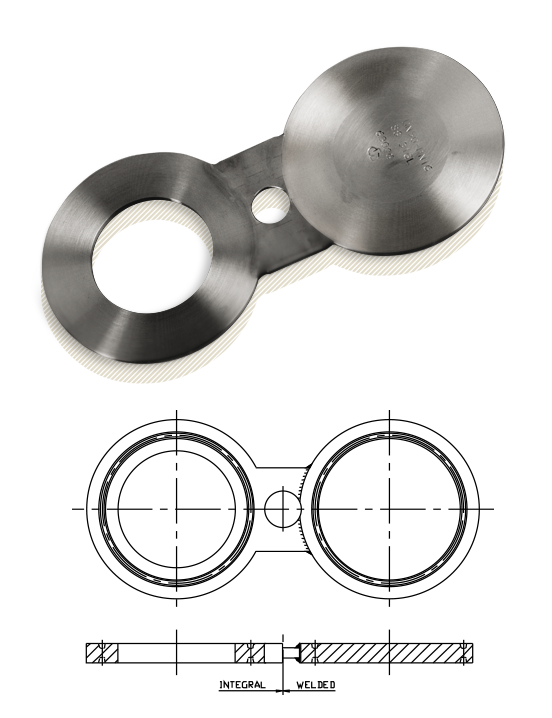 The spectacle blinds, spades and spacers are flame-cut from plate material and are machined with a smooth or stock finish gasket contact surface. RTJ male and female is also possible. Larger sizes are welded by qualified welders. Sizes over 8” are supplied with lifting lugs. Colour coding will be applied if required.